Bhairav is a fierce looking, reflection of Lord Shiva. It is worshiped by Hindus and Buddhists. 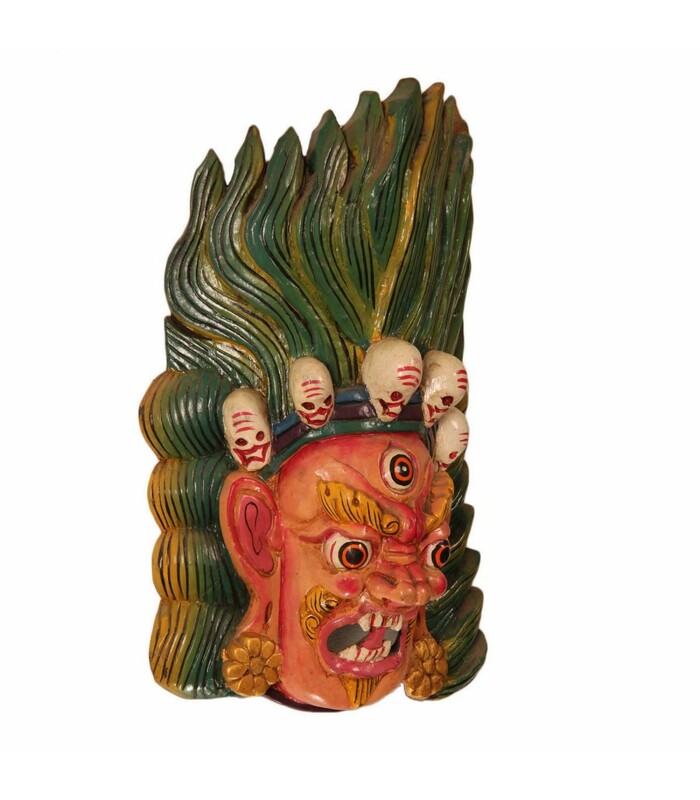 This fierce bhairav has a long green floating hairs, three eyes, sharp tiger teeth and skulls hair band around the head. 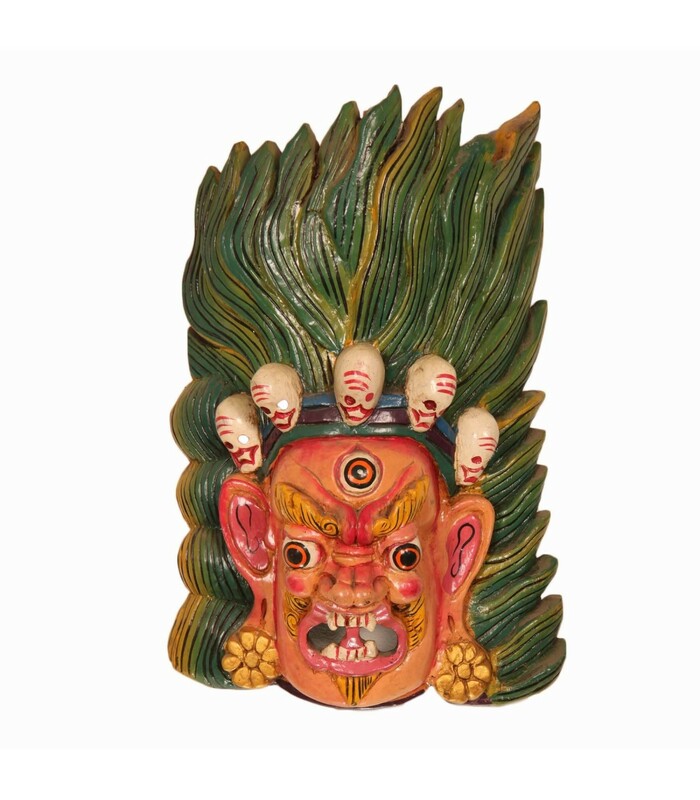 This mask is crafted by skilled craftsmen of Nepal by hand.